Mermaid themed parties are taking summer parties by storm—and for good cause! Mermaids are magical, mystical creatures that never lose their allure. No matter how old you are, what woman or man for that matter wouldn't want to be a mermaid for a day? 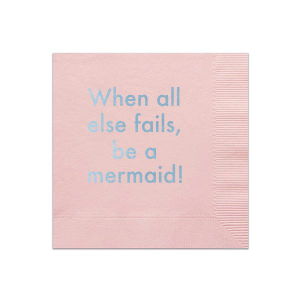 Make your next party a splash hit with mermaid themed party supplies that guests will adore! 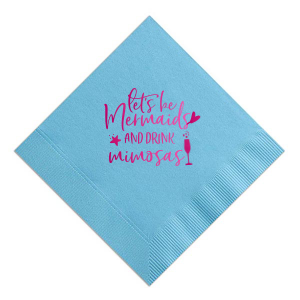 Whether you’re planning a mermaid birthday party, mermaid bridal shower or just looking to theme your next gal pal brunch, mermaid cocktail napkins, coasters and stir sticks will look fin-tastic with your party look! Apart from being a symbol of divine feminine energy and true power, mermaids are beautiful, and even the thought of them evokes excitement. 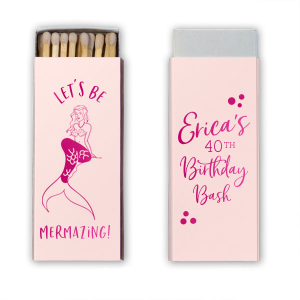 So choosing this creative party theme is a forever good idea—from your daughters seventh birthday to your best friend’s bachelorette, the mermaid themed party will always be a hit. Especially during the summer, while the sun is shining. Plan out your under the sea decorations, snacks, beverages and favors with your best party details to show your mermaids how much you love them, and love to party! 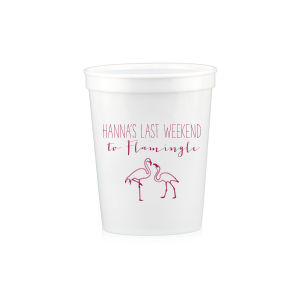 Don’t stop with the decor! 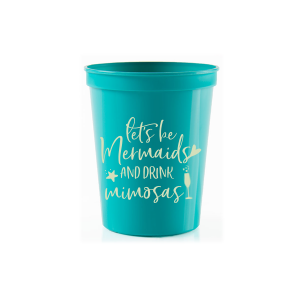 Keep the mermaid theme going with your food and beverage selection. From cocktails to mocktails, keep it blue. 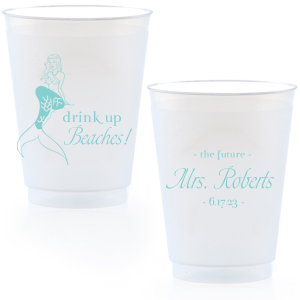 Accent drinks with a cute stir stick with a colorful mermaid or seashell graphic. Stock up on blue candy and serve it in glass bowls to use your food as a party element as well. 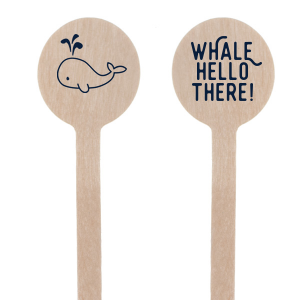 Another cute themed snack to keep the vibe alive is mini goldfish crackers or a seashell pasta salad for a real mermaid splash. 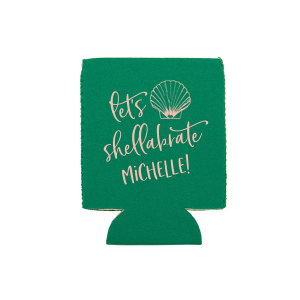 You’ll, of course, want to thank your friends for joining in on your ‘shell-ebration’ with whimsical ocean party favors! 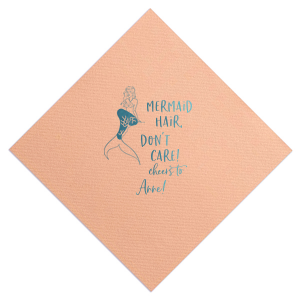 Under the sea mermaid party favors are a fun way to end an awesome party. 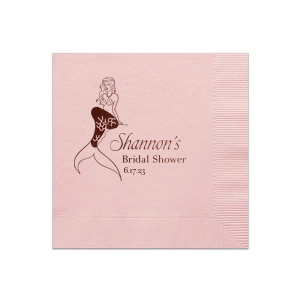 Create a personalized gift tag or personalized cellophane gift bags to fill them with under the sea themed treats like salt water taffy or bath salts. 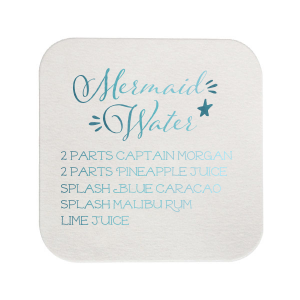 Guests are sure to have a fabulous time at the party and leave feeling like the queen of the seas!